My principal research interest covers irrigation systems, their management and their performance. As a result of early experience analysing and observing the performance of irrigation in Swaziland (1992 Irrigation and Drainage paper) I believe that water can be utilised effectively and efficiently within a local frame. I argue for this point of view in both the 2006 ICID journal paper and 2012 AGWM paper on irrigation efficiency. In the latter paper I distinguish between basin allocation irrigation efficiency’ (BAIE) and an alternative ‘socialised localised irrigation efficiency’ (SLIE) model. The latter reflects a complex mosaic of multiple irrigation units inhabited by irrigators with livelihoods connected to crops awaiting their next dose of water – and who are connected to their neighbours via networks of water supply and consumption. In the SLIE model, local recovered losses and classical irrigation efficiency remain of interest to farmers, managers and to those wishing to enhance irrigation through policy. A bifurcating model of irrigation systems dictates that water lost from one farmer is not ‘destined to belong to the river basin’ but rather is also a loss from the neighbouring farmer’s fields – with the effect that in a chain of shared supply, farmers experience increasing delays in irrigation scheduling. The photo above, taken in Ethiopia, depicts my default belief with regards to efficiency – that it should be locally contextualised, and that it is probably always higher than commonly held views deem it so. 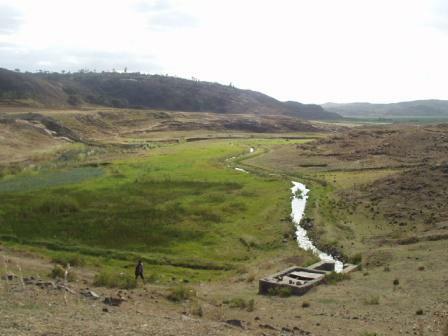 One small stream, about 100 l/sec, gives rise to many hundreds of hectares of irrigation. Although this photo was taken during a short visit, it is clear to me that a low efficiency of 30-40%, frequently stated as typical of surface irrigation, could not irrigate such a total area. 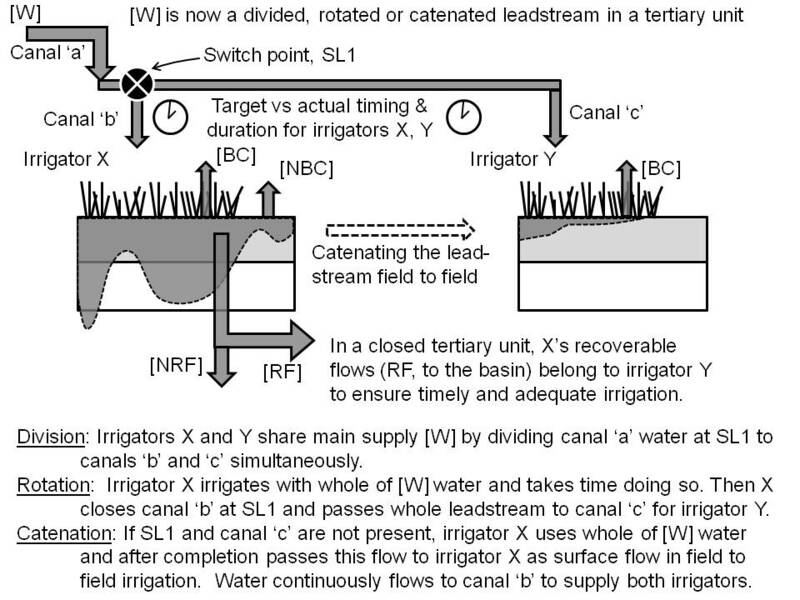 The division of the measured area over a modelled area gives you an estimation of the efficiency, as I argue in this paper, Effective monitoring of canal irrigation with minimum or no flow measurement, in Water and the Environment: Innovative issues in irrigation and drainage, by L. S. Pereira and J.W. Gowing (eds. 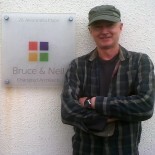 ), E & FN Spon, London, 265-273. In the future I hope to publish on field research that demonstrates how areal progress of irrigation can be used to determine irrigation efficiencies, integrating over the whole system.